Australian wool shows up where you least expect it. 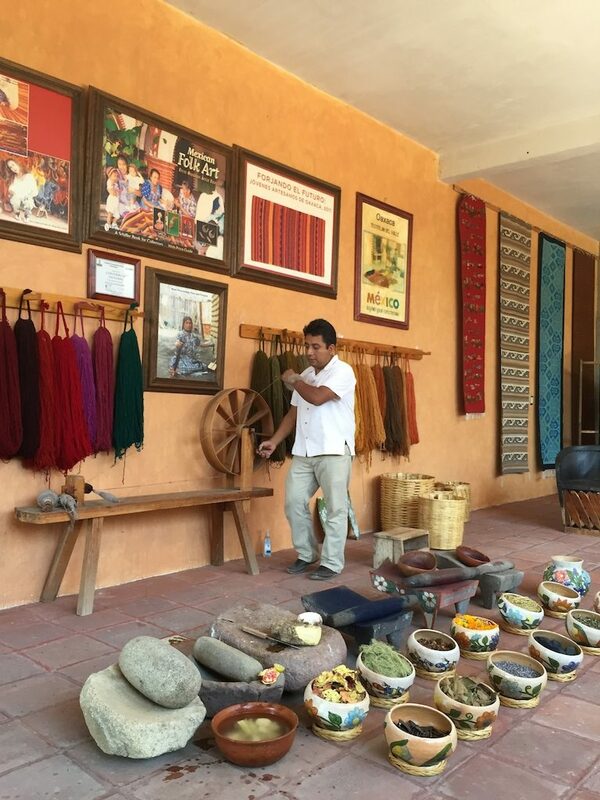 As a country girl growing up on a fine merino wool property in the New England region of New South Wales, I was excited to find a master weaver in a rural area in southern Mexico using Aussie wool! 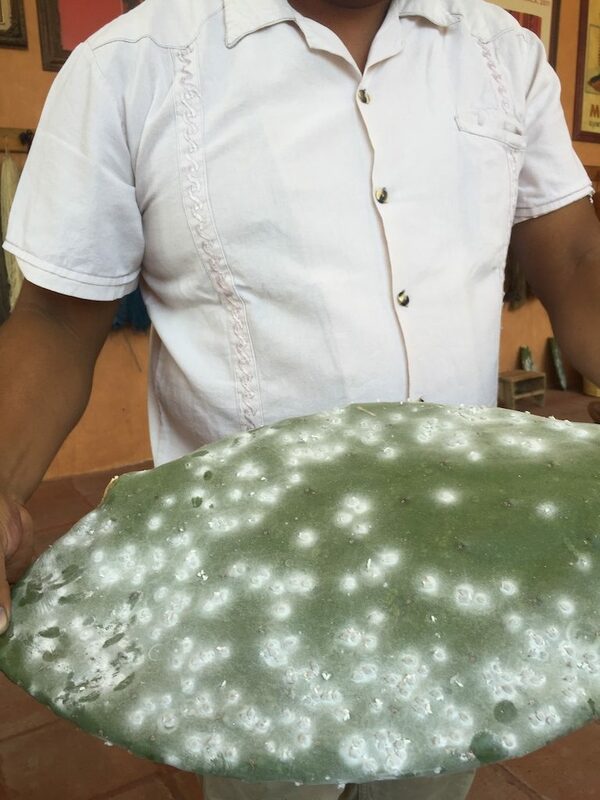 “We use 60 per cent Australian wool and 40 per cent local wool to make our rugs,” says Oaxaca craftsman Nelson Perez. Based on the current conversion rate, this equates to approximately A$44 a kilogram. In June last year, ABC Rural reported that wool auctions were “going ballistic”, with prices at four-year highs and still rising. At the time the Eastern Market Indicator, was above A$13 a kilo, up A$3 since the start of the year. “Some of the buyers had ‘buy at best’ orders, which basically means do not stop bidding until you get the wool,” said Eamon Timms, the wool brokerage manager for Fox and Lillie. Rabobank analyst Georgia Twomey said that the difference in the recent price rise seemed to be driven by rising global demand. “Demand has picked up particularly in the US as the influence of the global financial crisis subsides,” she told ABC Rural. 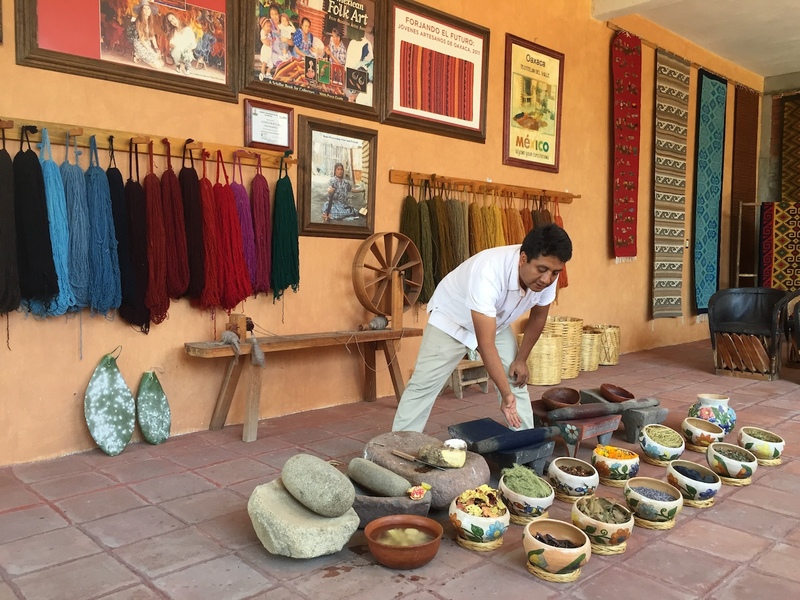 While less than half of the wool used in Mr Perez’s rugs is local, the ‘from paddock to plate’ philosophy rings true with 100 per cent natural materials used to create seasonal dyes reflecting vibrant colours. 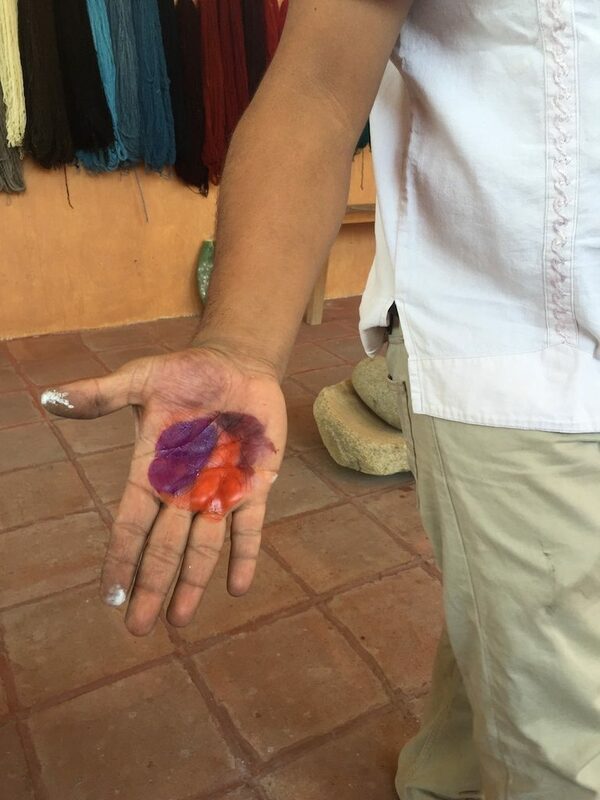 The most fascinating dye is created using the cochineal insect (found on the pads of prickly pear cacti in Mexico) to create a brilliant red dye called carmine (as you can see on Mr Perez’s hand in the photos below). 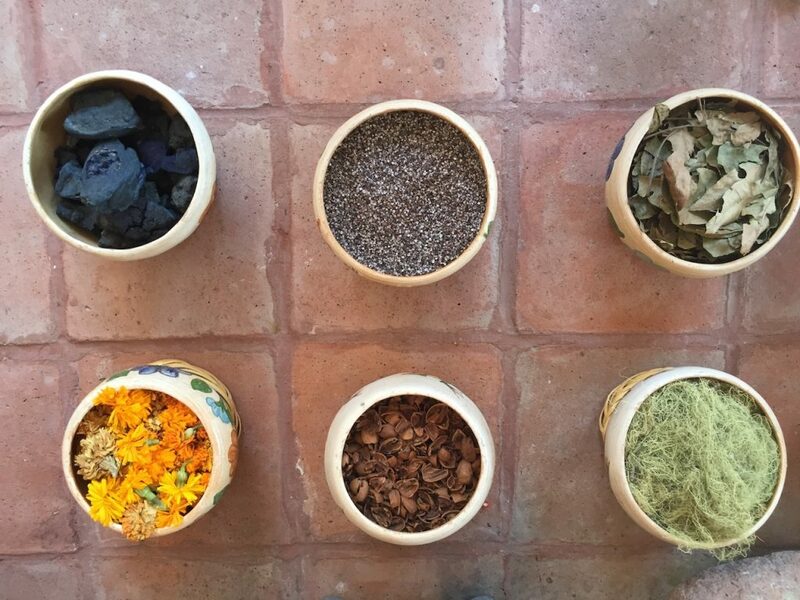 The fermented plant called ‘anil’ is used to create indigo blue while marigold flowers produce hues of yellow, acacia tree pods make black and pomegranate seeds squashed with limestone produce a striking shade of green. The tone of each colour is altered by changing its pH level, with lime juice added to create a more acidic base and limestone to enhance alkalinity levels. 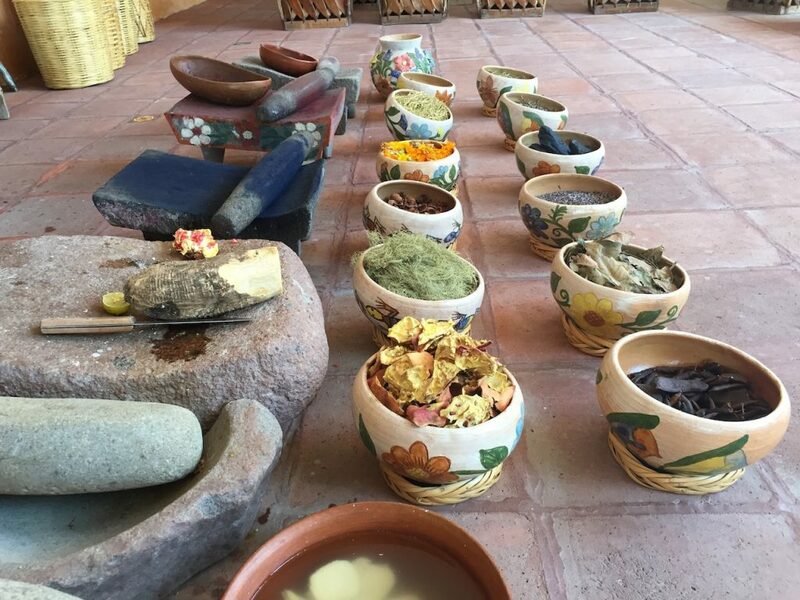 To set the colours, Mr Perez uses rock salt and white vinegar. Interestingly, not one colour is ever the same as Mr Perez handcrafts each individually. The yarn is carded, spun, dyed and woven on oversized looms (as seen in the photos) at his traditional studio. 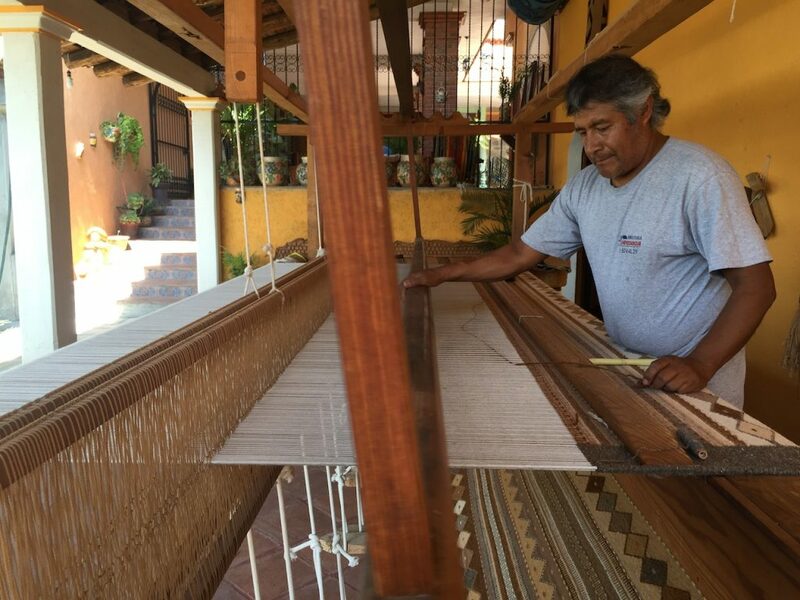 Having visited Mr Perez’s workshop and been fortunate to observe his highly skilled practice, I was not surprised to learn that it takes two months to weave a 4-metre x 3-metre rug by hand assuming a weaver works five days a week for eight hours a day! This is just another example of Australian produce being showcased on the world stage.